Post by The Australian Armour and Artillery Museum. Lowden obtained several vehicles from the late Syd Beck’s estate. Syd once had an impressive collection on display at Mareeba on the Atherton Tablelands behind Cairns, but passed away in December 2013. Visitors will recall the mustard coloured Matilda tank marking the entrance to his museum. Another defunct museum that was a source for some of Lowden’s prize items was John Belfield’s Melbourne Tank Museum once located at Narre Warren in Melbourne’s outer suburbs. The entire collection went to auction in 2006 with the Sentinal AC-1 fetching in excess of $60,000 at the time. Lowden also scored a dozen vehicles from the 160 items auctioned in July 2014 from the famous Jacques Littlefield collection in California. 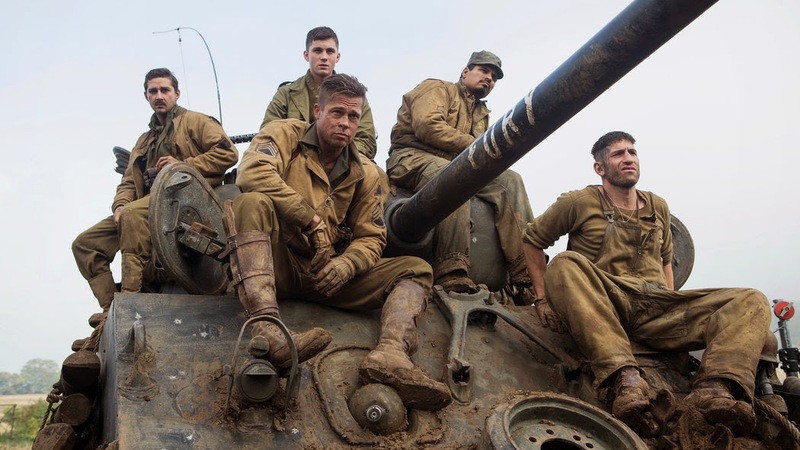 Brad Pitt and his movie mates aboard 'Fury' - making tanks cool again. Also part of the complex located at 1145 Kamerunga Road, Caravonica (just 15 mins by road north of Cairns) is a full restoration workshop with its own staff that can restore “pretty much anything”. In fact the German WWII Stug III assault gun in the collection is a fully working replica built on site using a spare armoured personal carrier chassis, a British Type 432 to be precise. Right now, visitors can see more than 100 items on display ranging from full battle tanks like the British Chieftain and Centurion to lightweight scout cars and even a tracked motorcycle. A rare WWII Hetzer light tank destroyer (correctly Jagdpanzer 38 Sd.Kfz. 138/2) is on its way as well as a cavalcade of heavy metal that includes a Panzer IV (Ausf D), T-55, Cromwell and even a curious armoured personnel carrier (APV) called a Ram Kangaroo. On the quiet, I’m told a full scale, all-metal replica of a German Tiger 1 tank (Panzerkampfwagen VI Tiger Ausf.E) is being constructed. With just seven remaining examples from 1300 manufactured of this once mighty fighting vehicle left in the world, even Lowden’s considerable resources are unlikely to secure him one. 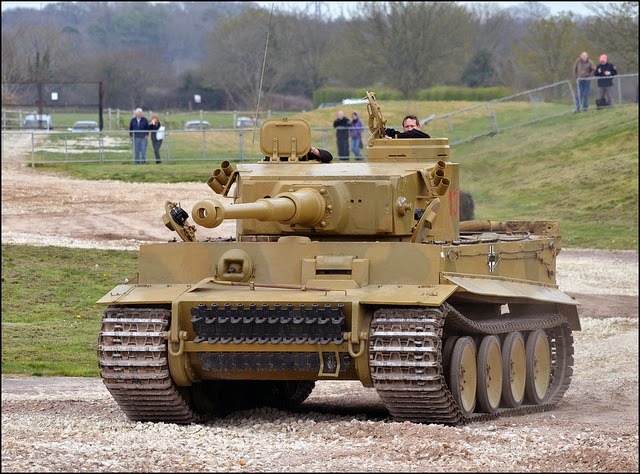 The Tiger seen in the movie ‘Fury’ was the famous (and genuine) Tiger 131 from UK’s Bovington Tank Museum, while a clever replica was built for the 2012 Russian film “White Tiger”. Bovington's immaculate Tiger 131 on display. Cairns will soon have a lookalike. How much is a real tank worth today? Well, without telling you how much Lowden paid for any of his, some of the better examples from Littlefield’s lot sold for over $1m apiece. Most M4 Shermans (like those in ‘Fury’) sold for between $250-300,000. Either way you look at it, The Australian Armour and Artillery Museum is a darned valuable collection of serious machinery sure to invoke memories for junior modellers and history buffs alike. Pick-ups around Cairns available too.